Absolutely, and I’m currently working on my 3rd monetizable YouTube channel. Which as you can see by the numbers is growing quite quickly. And really I only got serious with this channel a few months ago. So that’s how this YouTube game works. You find a niche, create content and build an audience. 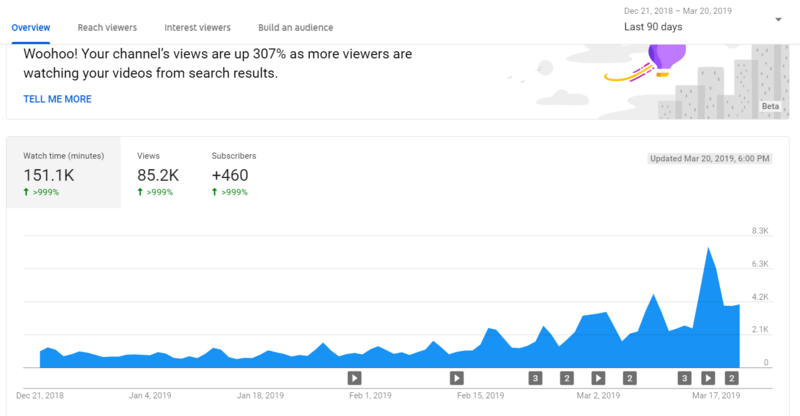 If you focus on a popular niche people are actually searching for, starting a YouTube channel will be so much easier. I use google trends to check on potential channel ideas that I’m interested in. For instance, this is a bad niche because it’s only popular certain times of the year. Which means you need to find ideas for your channel for those other 10 months of the year, when people aren’t searching for the content you make. So if you find a niche that already has a steady audience it’s time to write down some ideas. So before you get started creating content, try writing down 50 ideas on your niche topic. If you can’t then maybe find another niche to work on, because you’ll need plenty of ideas to work with. As it’s likely you’ll need to create a heap of videos before your channel really starts to take off. You can use one or many of these ideas for your channel. But the tip here is to get good at one before introducing another. And it’s best to see what your competition is doing that works best in your niche. Then get started and create some content. In order for your channel to work it needs subscribers, that are willing to regularly watch your content. And as a Small YouTuber the best way to get these is to bring them over from another platform, or find them yourself. Yeah, it’s tough to get started and find that first 100 SUBS but here’s my tip. Make a few videos first, before you spend the time looking for the audience. Because no one want to subscribe to a channel that only has 1 video. Then when you have a few videos you can showcase your channel, and start finding an audience. SUB 4 SUB doesn’t really help. But, regular commenting on smaller channels will. And by selecting ‘Today’ you’ll find out who’s regularly posting content for that niche. Then focus on the smaller channel with less than a thousand subs and comment on their videos. It’s the easiest way to get noticed on YouTube and smaller YouTubers really appreciate the interaction. Yeah, most YouTubers don’t even reach the 1000 SUBS and 4,000 hours watch time they need to monetize a channel. Often they give up before reaching their GOALS. 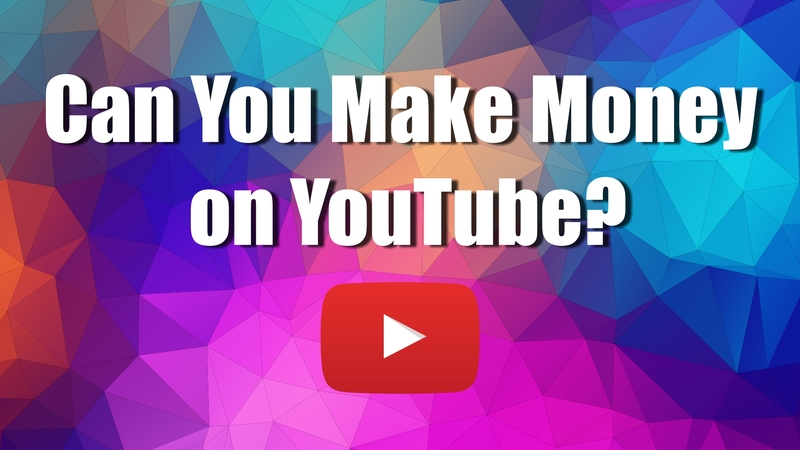 Set yourself a GOAL to monetize your channel before giving up on your DREAM. And the experience you gain along the way will be invaluable. 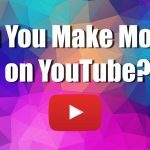 So it’s still possible to Make Money on YouTube. And trust me it gets easier, the longer do this. Anyway, if you want me to go more in-depth on how to make YouTube content then let me know in the comments below. 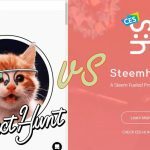 Previous Post: 50 Freelance Jobs you can start Today!